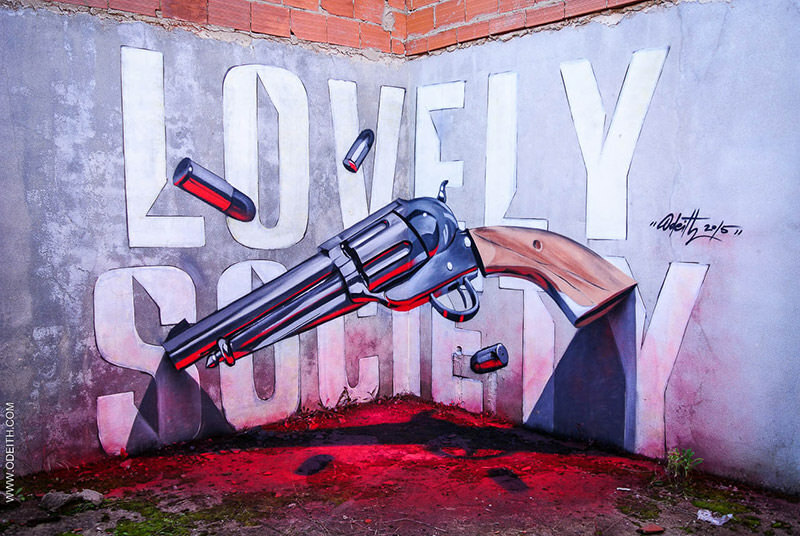 By Nancy Young in Artwork. 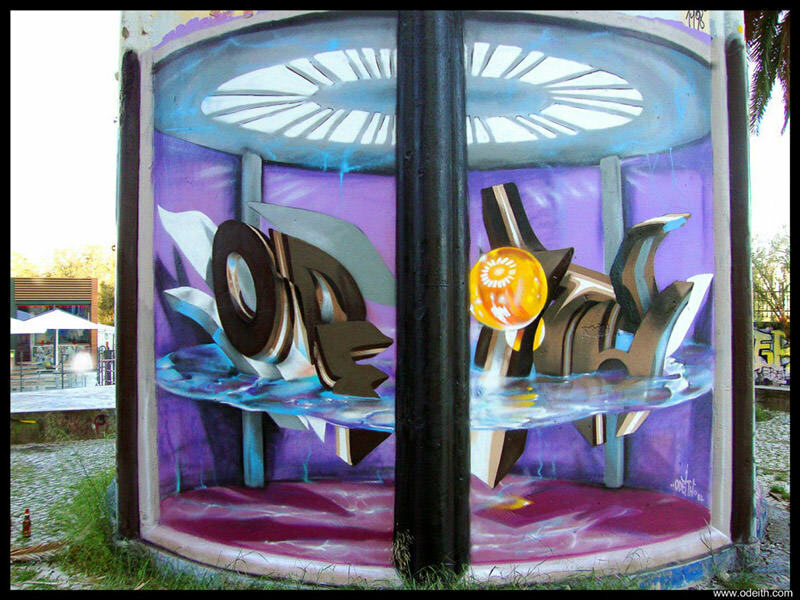 Updated on November 23, 2017 . 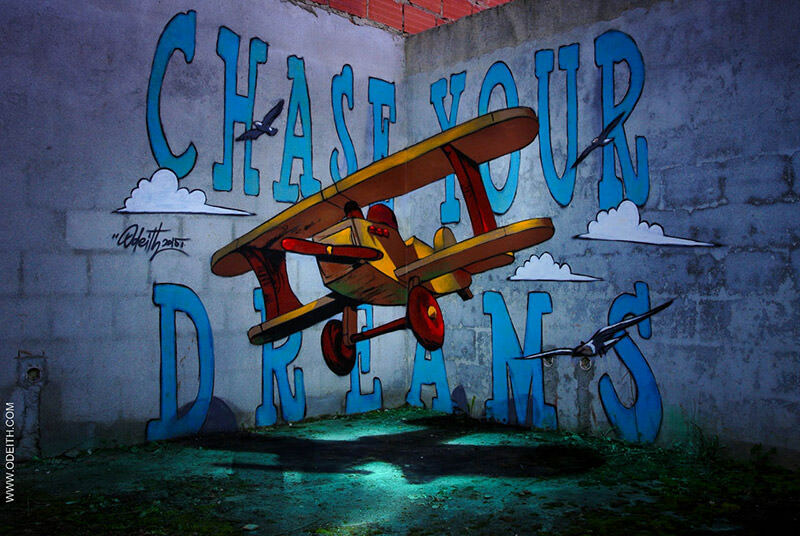 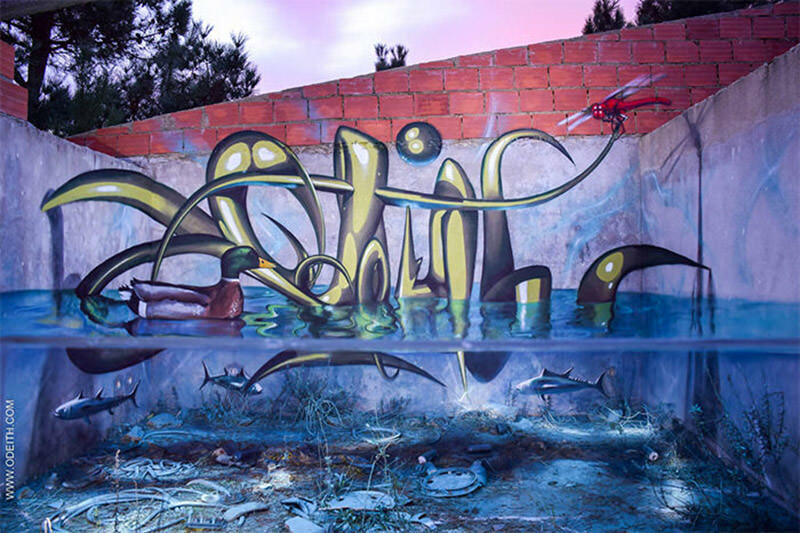 Sérgio Odeith is a master of graffiti art and has been commissioned to produce incredible mural art like the ones featured here. 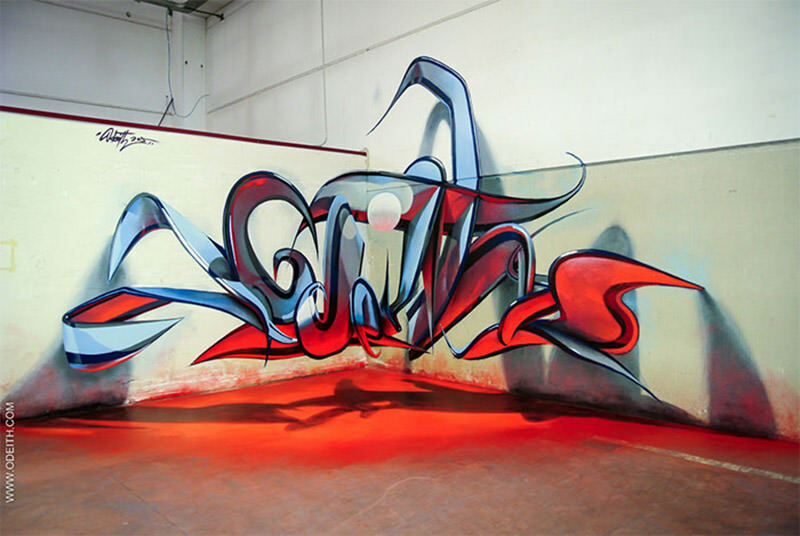 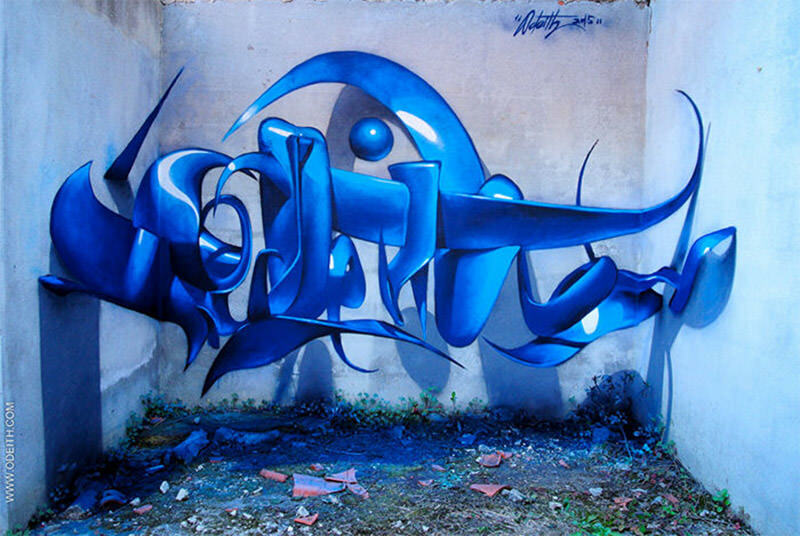 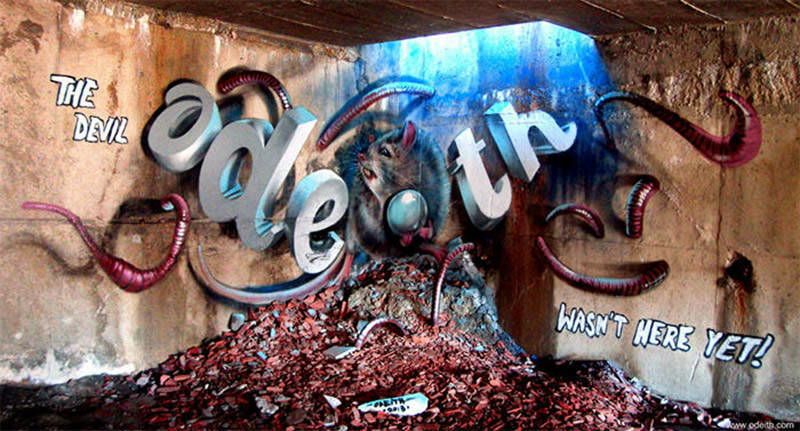 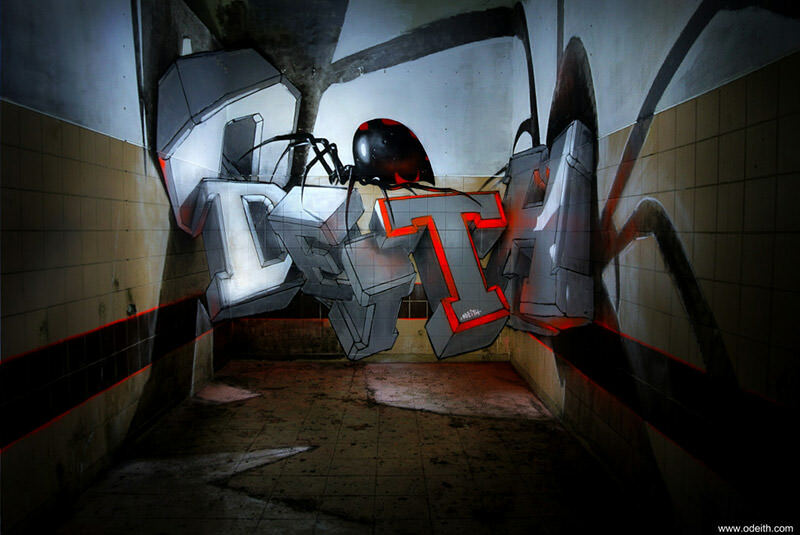 But since 2005, Odeith has been wowing fans with another type of his work, which he names anamorphic art. 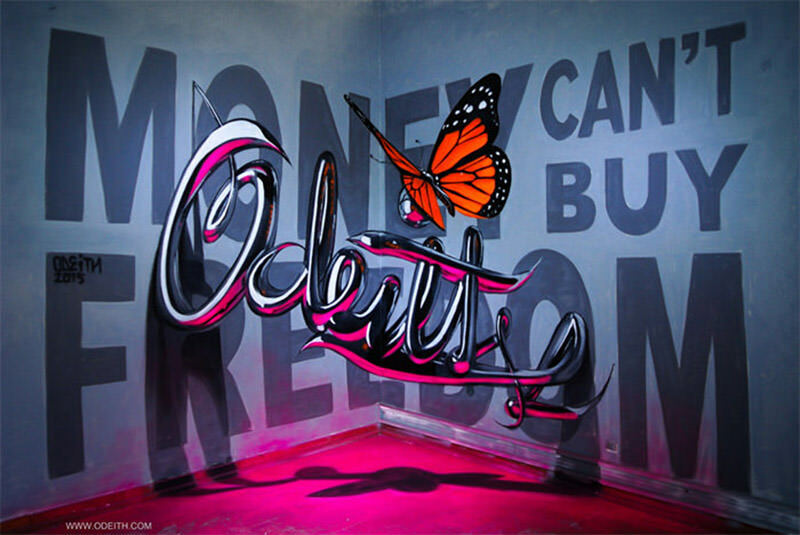 Painting on more than one surface, sometimes on walls lined at 90 degrees, other times from the ceiling to the floor, Odeith creates 3D illusions from his artform, the sort that pops out at you when viewed at a specific angle. 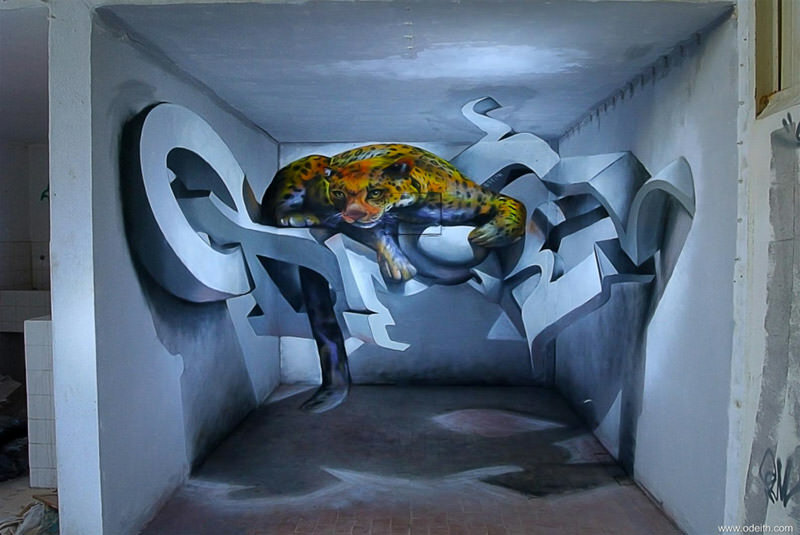 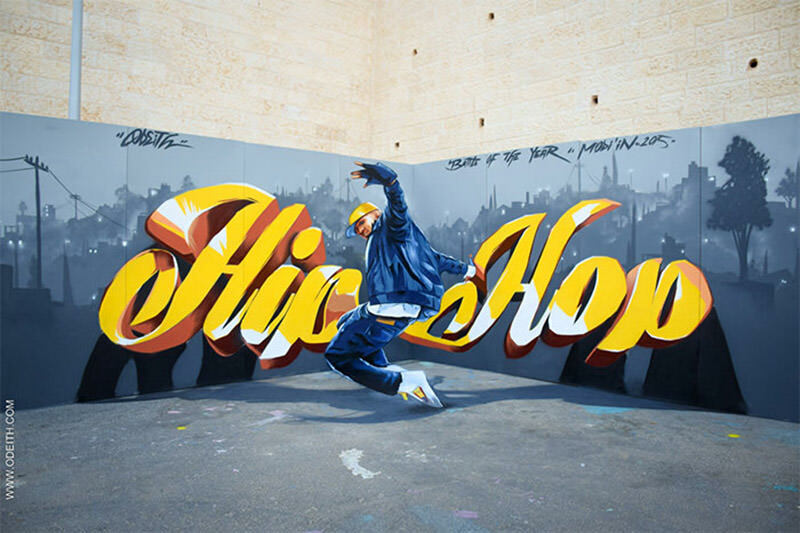 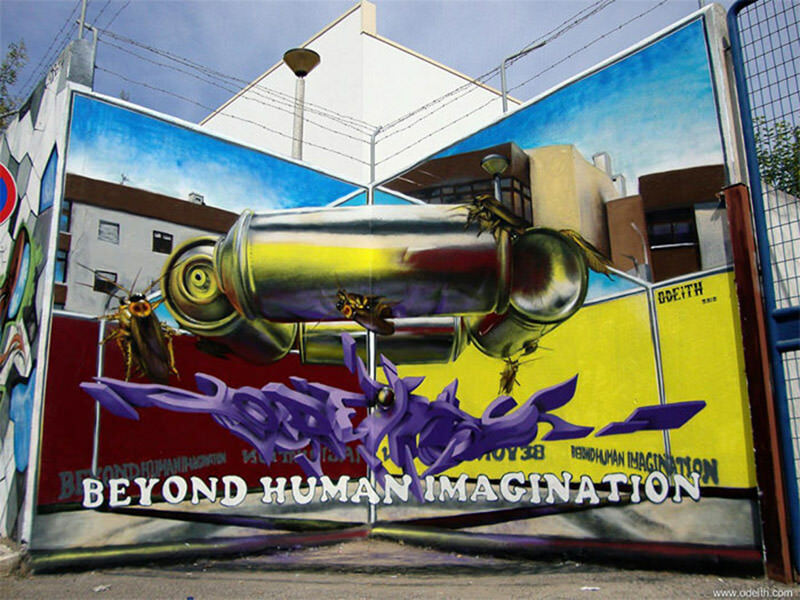 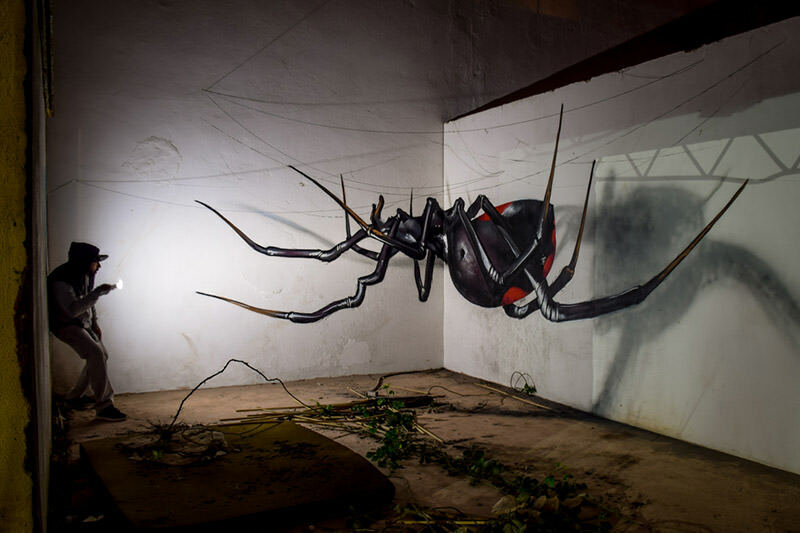 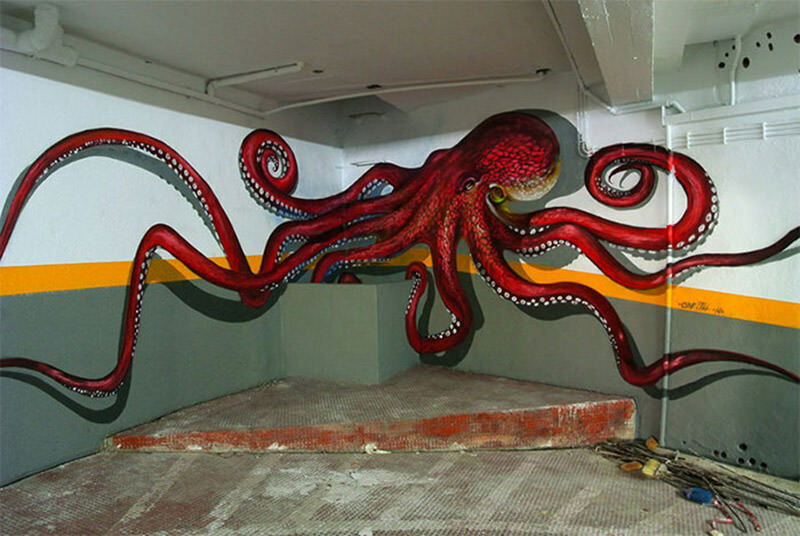 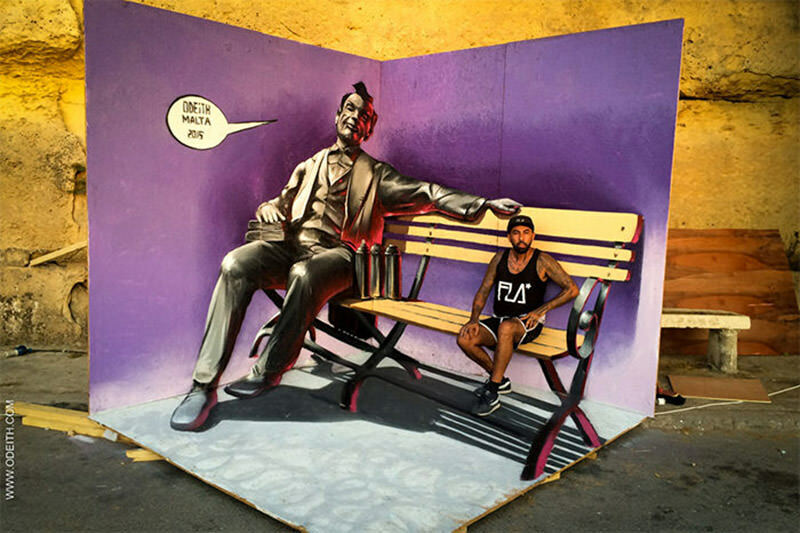 He has been producing anamorphic artwork in Portugal, where he lives, as well as internationally. 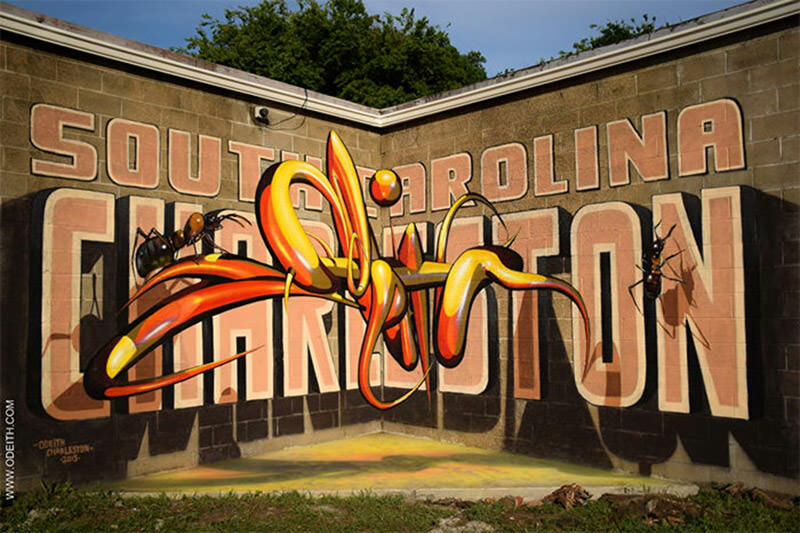 Check out some of his other work here. 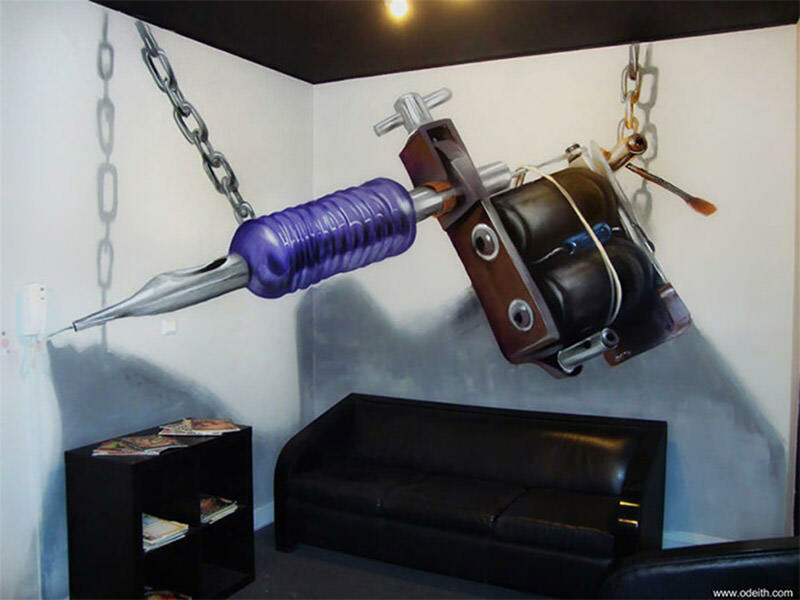 Here are just some of his stunning work. 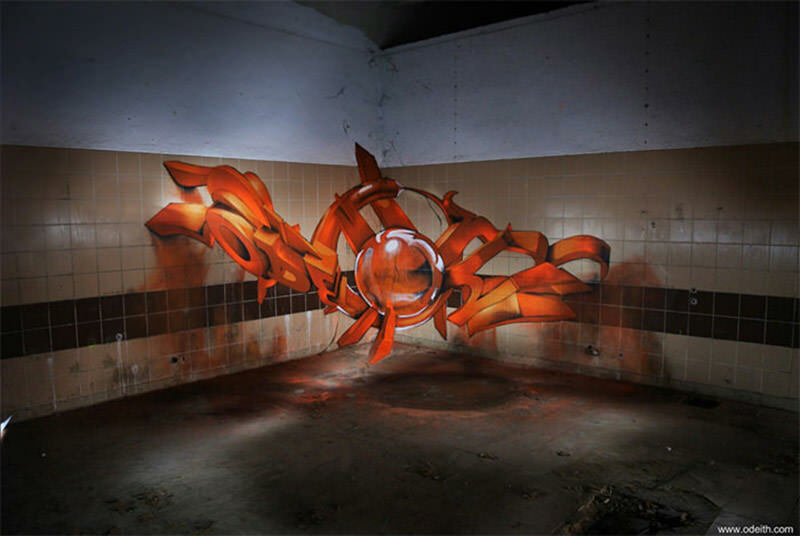 Here’s a video to give you an inside look into the creation of this anamorphic art form. 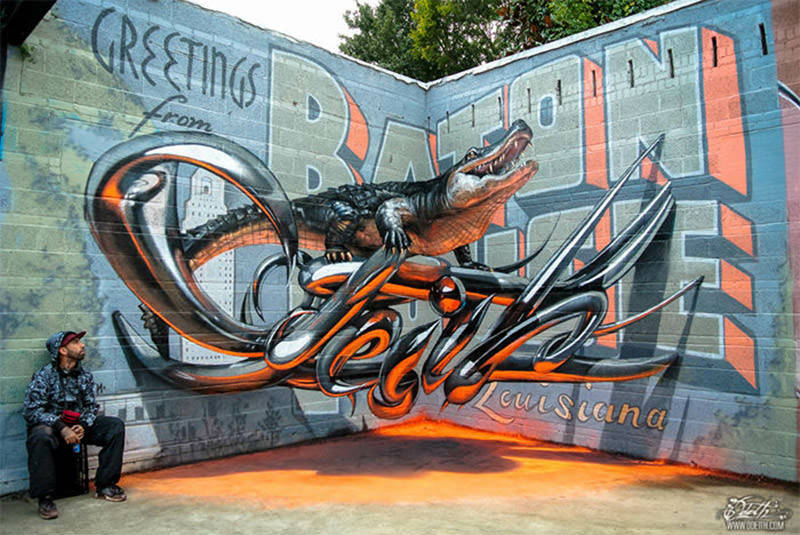 You can find more of Odeith’s work in this gallery and his Facebook page, or contact him via his website.